2017 was a big year for Apple, with the launch of the entirely revamped iPhone X, the iMac Pro, the first cellular-enabled Apple Watch, an iPad Pro with an amazing display, the Apple TV 4K, and new Macs, software, and other products. In the video below, we highlighted some of the most well-received and notable Apple products of the year, and below that, you'll find a quick overview of every major product Apple debuted or announced in 2017. March saw the launch of Apple's most affordable iPad to date, the 5th-generation iPad, which Apple refers to as "iPad." 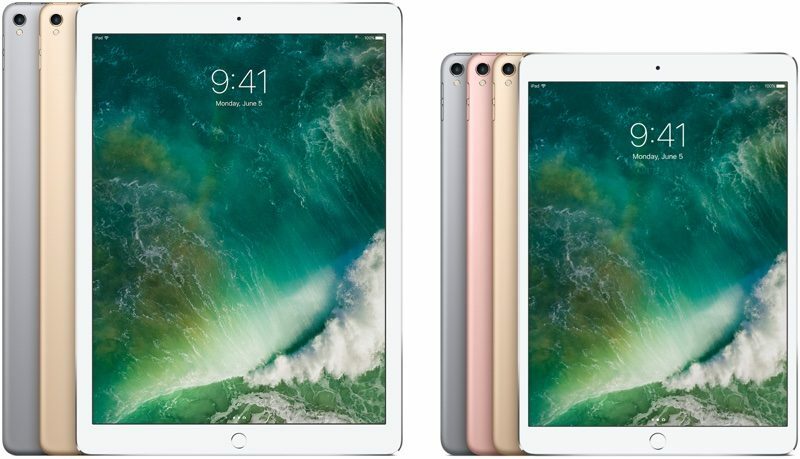 iPad is priced starting at $329 for the entry-level 32GB Wi-Fi only version, and despite its low price, the tablet is equipped with a speedy A9 processor, an 8-megapixel rear camera, Touch ID, and Apple Pay support. It's thicker than the 9.7-inch iPad Pro that came before it, but not by much, and while it doesn't support Apple Pencil or have some of the impressive display features available in the iPad Pro, it's an incredibly capable tablet that's going hold up for years to come. Read more about the iPad in our iPad roundup. 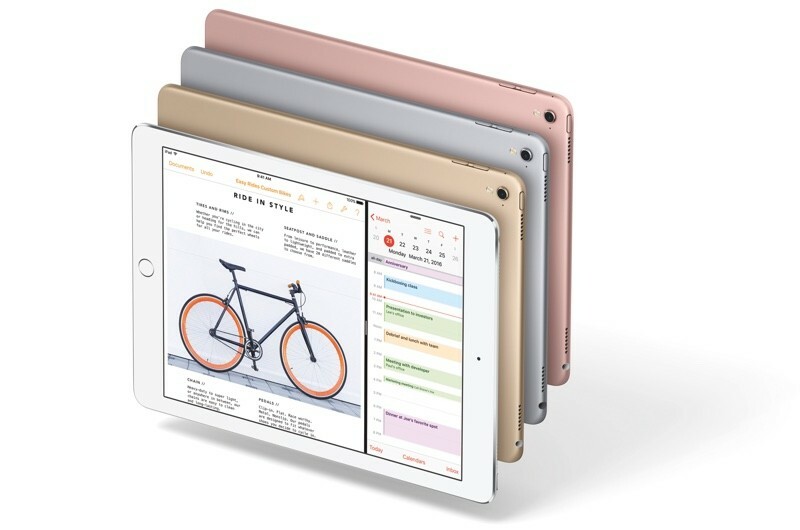 Following the launch of the new low-cost "iPad," Apple introduced two new iPad Pro models in June: an updated 12.9-inch model and an all-new 10.5-inch model that replaces the previous 9.7-inch iPad Pro. The 10.5-inch iPad Pro isn't much bigger than the 9.7-inch model, but it has a much larger display thanks to thinner side bezels. Both the 10.5 and 12.9-inch iPad Pro are amazingly powerful and can serve as PC replacements with A10X Fusion chips and 4GB RAM. New displays offer ProMotion display technology with a 120Hz refresh rate, and these are without a doubt the nicest displays we've seen in an iPad. Unlike the fifth-generation iPad, the iPad Pro models support the Smart Keyboard and the Apple Pencil, but all of these features don't come cheap - the 64GB 10.5-inch iPad Pro starts at $649, and the 12.9-inch iPad Pro starts at $799. Luckily, sales are common, so you can often get these two tablets at lower prices. Read more about the iPad Pro in our iPad Pro roundup. Apple introduced the MacBook Pro with Touch Bar in October of 2016, so we weren't expecting new MacBook Pro models until late 2017, but Apple surprised us with new MacBook Pro models equipped with Kaby Lake processors in June of 2017. Aside from the upgraded processors, the MacBook Pro models from June of 2017 are identical to the October 2016 models, with Touch Bar and non Touch Bar options available. The new MacBook Pro models are smaller, thinner, and lighter than 2015 models, with a larger trackpad, louder speakers, a much better display with bright colors, better contrast, and wide color gamut support, faster solid state drives, and support for Thunderbolt 3. Pricing on the 13-inch MacBook Pro with Touch Bar starts at $1,799, while 15-inch models start at $2,399. For customers who don't need a Touch Bar and can sacrifice some processor and GPU speed, Apple sells a 13-inch non-Touch Bar MacBook Pro for $1,299. The MacBook Air is on its way to being retired, but until MacBook Pro and MacBook prices come down, Apple is keeping it around as a low-cost option. In June, Apple bumped up the base MacBook Air Broadwell processor from 1.6GHz to 1.8GHz, but it otherwise has received no updates since 2015. The MacBook Air is falling further and further behind newer machines, but for customers who need a more affordable laptop that can still handle everyday tasks, it serves its purpose. Pricing on the MacBook Air starts at $999, but there are often deals on the machine that bring prices way down. 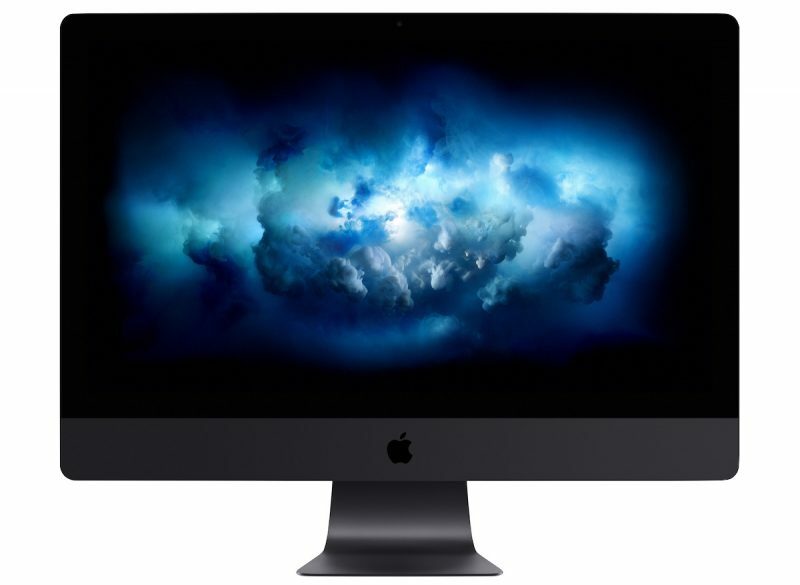 Apple refreshed its iMac lineup in June, introducing Kaby Lake chips, Thunderbolt 3 support, VR ready AMD Radeon Pro graphics, and faster solid state drives for 4K 21.5-inch and 5K 27-inch desktop models. For the first time, the 21.5-inch iMac models have discrete graphics. 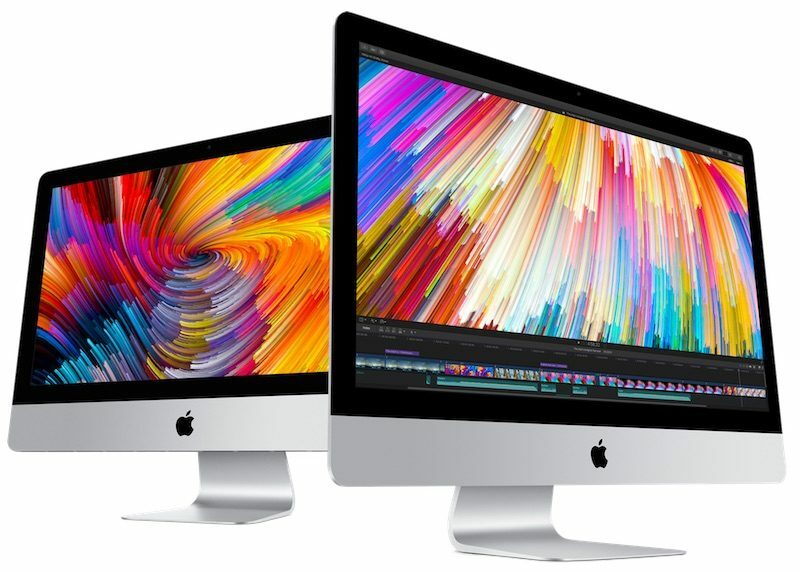 Aside from the internal updates, the iMac models from June of 2017 are identical to earlier iMac models - the iMac line has not received a design update since 2012. With the Mac mini having been ignored since 2014, the iMac is essentially Apple's sole desktop designed for the average consumer. The iMac is powerful with a gorgeous Retina display, but it's expensive. Pricing on the 21.5-inch 4K iMac starts at $1,299, while the 27-inch 5K iMac starts at $1,799. For those looking for a more affordable desktop machine, there's an entry-level 21.5-inch iMac for $1,099, but it has a slower processor, an integrated GPU, and a standard 2K display. Read more about the iMac in our iMac roundup. September brought the long-awaited launch of the Apple TV 4K, the first set-top box Apple has introduced for 4K televisions. The Apple TV 4K, in addition to supporting higher-resolution content, also supports HDR, introducing not only incredible detail, but also richer, more vibrant colors. Inside, there's an A10X Fusion chip, the same chip in the 2017 iPad Pro. 4K content was added to the iTunes Store, and the Apple TV 4K supports 4K streaming from services like Netflix and Amazon Prime Video. That latter app was also one of the big announcements of 2017. Apple promised an Amazon Prime Video app for Apple TV in June, and then we waited all year for the app's December 6 launch. If you have a 4K TV and prefer the Apple ecosystem, the Apple TV 4K is a must have. In addition to 4K streaming content, there are thousands of apps and games to download, and it integrates perfectly with the TV app for a streamlined watching experience. Read more about the Apple TV 4K in our Apple TV roundup. The iPhone 8 and the iPhone 8 Plus came in September ahead of the launch of the iPhone X. Though these devices don't have some of the key iPhone X features like Face ID, they shine in their own right with sleek new glass bodies that support wireless charging, super fast A11 Bionic chips, a familiar design with Touch ID, and, most importantly, a more affordable price tag. The iPhone 8 starts at $699, while the iPhone 8 Plus starts at $799, significantly cheaper than the $999 starting point for the iPhone X. Both of these devices are ideal for customers who prefer Touch ID and don't want to empty their wallets for nascent technology. They're not sporting a fancy new design, but the iPhone 8 and the iPhone 8 Plus are fast, reliable, and comfortable. Read more about the iPhone 8 and 8 Plus in our iPhone 8 roundup. Introduced in September, Apple Watch Series 3 is the first Apple Watch that includes LTE support. LTE models, denoted by a red dot on the Digital Crown, are more expensive and require a monthly carrier fee, but they work even when an iPhone isn't nearby. Aside from LTE connectivity, a faster S3 processor, and a new W2 chip for faster and more efficient Wi-Fi and Bluetooth, the Apple Watch Series 3 is identical to earlier Apple Watch models, aka there's no new design here. The LTE Apple Watch is limited to a handful of countries, but luckily Apple also sells a GPS-only version -- and it's cheaper. Like always, Apple offers aluminum sport models, stainless steel models, and ceramic models, with a gray ceramic option new this year. Read more about Apple Watch Series 3 in our Apple Watch roundup. September also brought new software, with Apple debuting iOS 11, tvOS 11, macOS High Sierra, and watchOS 4 after a beta testing period that started in June. iOS 11 introduced a new Lock screen experience that incorporates the Notification Center, a customizable Control Center, a new more natural Siri voice, and dozens of other smaller design changes and tweaks to streamline the operating system. 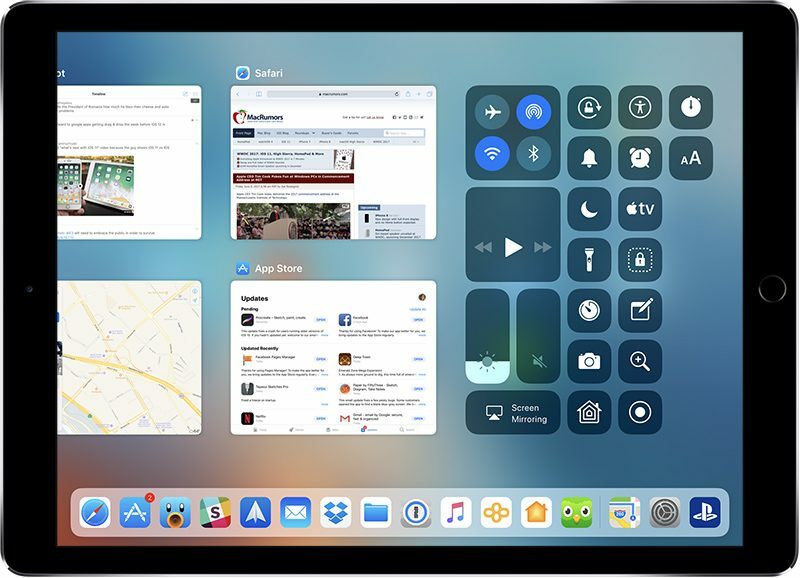 On the iPad, Apple entirely overhauled the interface with major new features like a persistent Dock, a revamped App Switcher, a new Files app, and Drag and Drop functionality. iOS 11 also brought peer-to-peer Apple Pay payments (which came out in December), an entirely new App Store, and ARKit for augmented reality apps. macOS High Sierra brought a lot of under-the-hood updates, like Metal 2, a new more efficient file system, new Safari features like autoplay video blocking, and support for HEVC and HEIF, new, more efficient image and video file formats. In 2018, macOS High Sierra will support VR and eGPUs. watchOS 4 included new watch faces and even more focus on motivating people to move with animations, motivational notifications, and interface changes to make it quicker to start a workout. It also introduced GymKit for integrating with gym equipment, and for the Apple Watch Series 3 models, there's a redesigned Apple Music app for listening without an iPhone. tvOS 11, which runs on the fourth and fifth-generation Apple TVs, was a relatively minor update, but it brought a few notable features like better multi-Apple TV syncing, automatic switching between light and dark mode, and other under-the-hood improvements. Read more in our roundups: iOS 11, macOS High Sierra, tvOS 11, and watchOS 4. 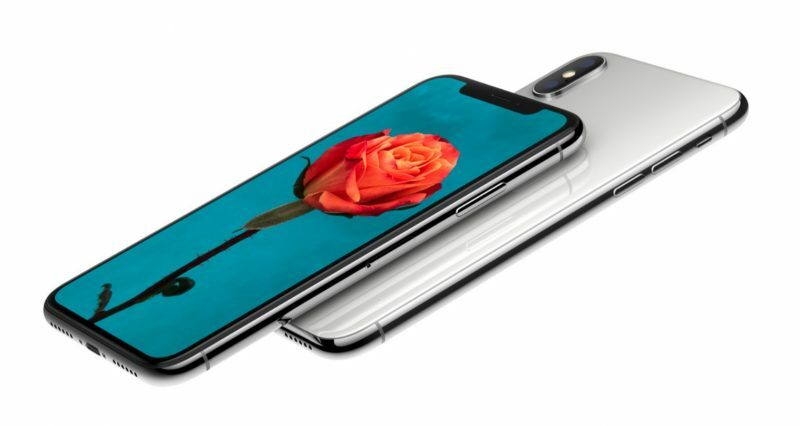 Introduced in September as a classic "One more thing..." announcement after the iPhone 8 and iPhone 8 Plus, the iPhone X made its official debut on November 3. Positioned as Apple's new flagship device, the iPhone X introduces the most radical design changes we've seen in an iPhone since 2014. Apple did away with the Home button and Touch ID to introduce an edge-to-edge display with minimal bezels and a sleek glass back that enables wireless charging. Instead of Touch ID, the iPhone X uses a facial recognition system called Face ID for biometric authentication, which is powered by a front-facing TrueDepth camera, located underneath the "notch" on the display. Though equipped with a 5.8-inch display, the iPhone X isn't too much larger than the iPhone 8, and it's smaller than the iPhone 8 Plus. The iPhone X sets the path for the next decade of iPhone development, and Apple says its Face ID system is the future of biometrics. Inside, the iPhone X is equipped with an Apple-designed A11 Bionic processor, new rear cameras, and dozens of other small hardware improvements to make it the most impressive iPhone Apple has introduced since the original iPhone came out in 2007. Read more about the iPhone X in our iPhone X roundup. Aimed at Apple's professional users, the iMac Pro was announced in June but launched in December. Pricing on the iMac Pro starts at $4,999 and goes up to $13,199, but that price tag includes a lot of impressive high-end components to meet the needs of users with demanding workflows. The iMac Pro is the most powerful desktop machine Apple has built yet. It features Intel's Xeon W processors with 8 to 18 cores, along with Radeon Pro Vega graphics, up to 128GB of ECC RAM, and up to 4TB of solid state storage. There's also an Apple-designed T2 processor that integrates the SMC, image signal processor, audio control, SSD controller, a Secure Enclave, and the hardware encryption engine. The iMac Pro looks like the iMac, but it comes in a new Space Gray color, and inside, it's been redesigned with a new thermal architecture to support the upgraded components. This isn't a machine for everyone due to its high price tag, but it's a welcome addition to Apple's Mac lineup for pro users. Read more about the iMac Pro in our iMac Pro roundup. The Mac Pro has gone four years without an update, and in late 2016 and early 2016, Apple's pro-level customers started getting increasingly frustrated by their perceived abandonment by Apple. To ease concerns, Apple in April shared Apple's future Mac Pro plans, which includes a total overhaul of the Mac Pro. Apple is developing a high-end high-throughput modular Mac Pro system that will facilitate regular upgrades to meet all of the needs of Apple's pro user base. We don't know when the new Mac Pro is coming, beyond "longer than this year," but Apple in December reconfirmed its commitment to introducing a machine for pro customers. The new Mac Pro will accommodate VR and high-end cinema production, and it'll ship alongside a new Apple-branded pro display. Read more about Mac Pro in our Mac Pro roundup. 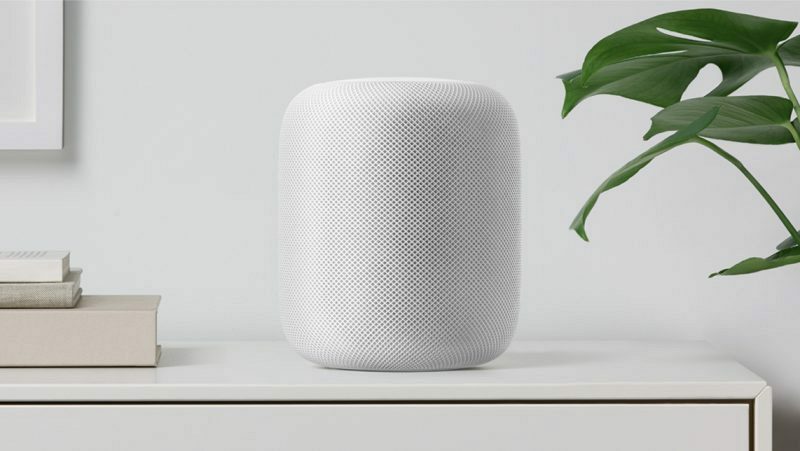 Apple's first smart speaker, HomePod, was announced in June. It was supposed to come out in December, but Apple ended up delaying it until early 2018 because work on the device could not be completed in time for a December launch. HomePod is Apple's answer to the Amazon Echo and the Google Home, but with a focus on better sound quality. It features an A8 chip to power some advanced features like spatial awareness for adjusting sound to fit a room's design, and it includes Siri integration, so you can ask Siri to play music. HomePod, which looks like a small mesh-covered Mac Pro, is 7 inches tall with a cylindrical body and a display at the top so you know when Siri's listening. There are touch controls, and it's able to do things like serve as a HomeKit hub. What do you think of Apple's 2017 product lineup? Was it a good year for the company, or were there misses? What was your top product for 2017? Let us know in the comments. Also, make sure to stay tuned to MacRumors over the next week, because we'll be delving into all of the products we're expecting to see from Apple in 2018, ranging from a revamped iPad Pro to three new iPhones. Apple killed it this year. It also appears Android OEMs have given up on tablets. They haven’t been able to compete with the iPad for yeaes, let alone the iPad Pro. Hardware wise , thumbs up. Price , huge thumbs down. I agree. It don't make sense. Throttled performance. Less for more. But. If you were Tim and the model still works then would you change anything either? There's you're answer. If it ain't fixed why break the cash cow! They also introduced us to what many already suspected in their deceptive throttling/planned obsolescence practices. So yes, they definitely “killed it” this year in terms of consumer confidence in them. (1) Thanks to faceID now I have to pick up my phone every time I want to use it.... (2) Wonderful notch that makes me miss my iPhone 7 plus when I I see videos in full screen (3) Slippery phone with 300$ (or more) crystal back. Thanks apple, thanks. To be fair, no one forced you to buy a X. Those are the reasons I got an 8+ to replace my 6+ which Apple has graciously made slower to the point of unusability. Still a customer, but lost my love. Had great respect for this company (and its inspiring founder)! Tried to hold on to my passion for years. But had too many blows: bad design choices, weird price hikes, and missing enthusiasm during keynotes. It doesn't, nor is your wages relevant here. Your tangent is separate from mine. The reality is, they do charge a premium for the products and some of them are more expensive than others increasingly so, but it doesn't prohibit the quality of the product the consumer receives knowingly the support behind it. You either can or cannot justify the purchase or find something that meets your expectations at a cheaper price point. My 2013 Mac Pro for £2500 was a premium apple product at a premium price. Are you telling me the iMac pro is twice as premium as my Mac Pro was in 2013? Sorry that is rubbish, the 2013 Mac Pro was far more innovative. Is that really anything to rate Apple of? We already know they charge a premium for their products, but given the durability and build quality, you get exactly what you pay for. It's almost an expectation knowingly the quality product Apple puts out. I personally would rather pay a higher dollar amount for something I know that will last versus a cheaper product that may not meet the expectations that I would expect for longevity. I'm referring to price increases over the established premium. As an Apple customer for over 20 years, I fully understand the premium. My model Mac Pro entry price was £2500, the iMac pro entry price is £5000, do you think my salary doubled in 4 years? I hope the example better explains my point . One of the worst years for Apple Hardware. 4- iMac Pro- Not able to upgrade RAM in a $5000.00 entry level computer??? Really?? 6- iPhone 8- The glass enclosure cracks easily. 7- iPhone X- Very nice. Though too expensive. 8- Watch- Same design. no changes. 9- Home Pod- Too expensive. Amazon Echo and Echo plus is less than half the price.